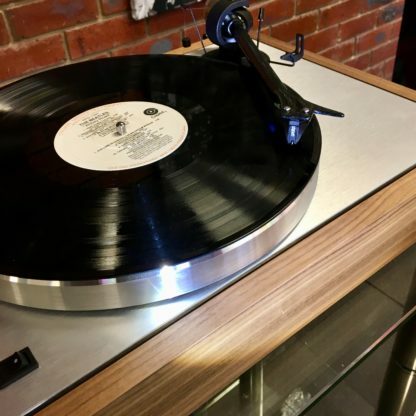 Home / Electronics / Turntables / Pro-Ject The Classic Turntable – A Real Keeper! 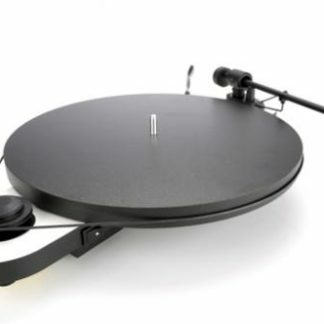 View cart “Pro-Ject The Classic Turntable – A Real Keeper!” has been added to your cart. Pro-Ject ‘The Classic’ turntable blends classic looks and innovative high-tech. Pro-Ject The Classic Turntable employs traditional timber frame design, originally made famous by the turntable manufacturers of the ’50s and ’60s. It uses a compact simple and elegant form factor. ‘The Classic’ incorporates an evolution of Pro-Ject’s belt drive design. A low noise AC motor is powered by an ultra precision frequency AC generator for incredible speed stability. Advanced TPE technology is used in decoupling, resonance control and in the completely redesigned tonearm. Pro-Ject wanted to create an easy to use “plug & play” product, but with better sound due to better isolation. Thanks to the modern TPE (Thermo Plastic Elastomers) damping materials, they were able to construct a rigid sub-chassis with exceptionally low noise transfer. 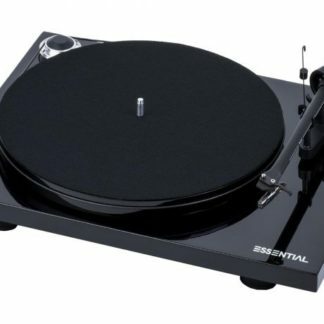 Isolating the platter and tonearm from the resonances of the speakers, the motor and main plinth is crtitcal in good turntable design. The heavy aluminium main platter includes a peripheral channel of advanced ‘Thermo Plastic Elastomers’ to optimise resonance behaviour. A drawback of of many old turntable designs was the platter. Cast platters all have been heavy (which is good for speed constancy and low wow and flutter) but suffered very much from ringing which distorted the tonal characteristics of the music. The platter of The Classic is precisely machined out of a special aluminium alloy and damped with TPE. So much of the ‘surface noise’ that people associate with records, isn’t on the record at all. It’s noise generated by the main bearing assembly. The sub-platter and main bearing construction is similar system to the Debut. It is made of hardened steel in a bronze bush on Teflon thrust plate, which results in a very smooth low noise bearing. The main difference are the tolerances which are lower by a factor of 10 and therefore more precise (0,005%). The sub-platter is accurately machined and guarantees a very good isolation between bearing noise and the platter itself. The redesigned The Classic Tonearm is the result of 25 years of experience in mechanical construction. The tonearm tube is made from bonded Carbon and Aluminium: Carbon for stiffness and speed, Aluminium for damping. A Cardan bearing assembly with pin-point Zircon bearings provide ultra low friction. A new expensive Japanese base-ball-bearing allows a better lead of the tonearm wire and increases the free movement of the arm. The counterweight incorporates a large TPE damper which reduces tonearm cartridge resonance frequency by 50%. As typical for Pro-Ject, and absolutely not standard in this price range, ‘The Classic’ also offers azimuth and VTA adjustments to optimise a variety of cartridges. Different counterweight for cartridges up to 25g are available as an option. 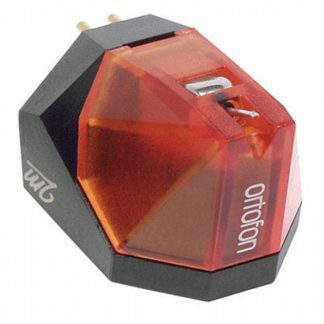 We recommend the Ortofon 2M Silver moving magnet cartridge. However, as the tonearm offers excellent damping and flexibility, it is also a very good partner for expensive MC cartridges. Composite TPE and aluminium feet. 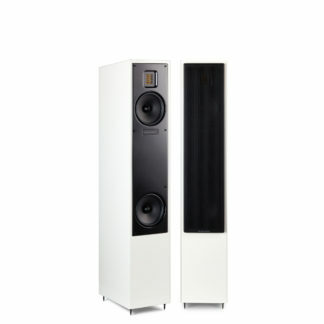 The customer always needs perfect audiophile turntable supports. 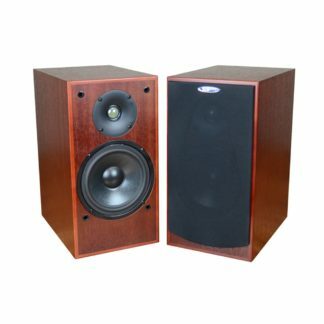 Pro-Ject use damping feet to suit most of customer environments. An felt pad and aluminium foot is decoupled by a TPE cup and screw in/out aluminium bolt to set height. The three feet make ‘The Classic’ quick and easy to level. First, set a spirit level across the platter and level left-right front feet and, move the spirit-level ninety degrees to completely level the chassis using the rear foot. A high-quality ‘ConnectIt E’ connection cable and an acrylic dust cover are included.